When Oliver is poisoned, he starts having flashbacks to the period when he gained his archery skills... and met Tess. Meanwhile, Chloe has to make a decision which surprises Clark. Clark believes a recent attack in a theater may be the work of a serial killer; Davis fears that his blackouts could mean that he is the killer. 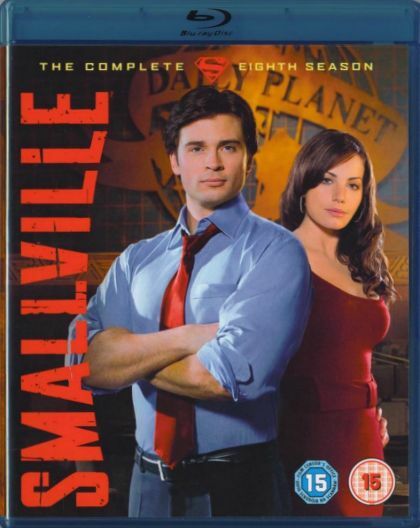 Clark receives a package containing the crystal that Tess found in the Arctic; the crystal activates, sending Clark and Lois to the Phantom Zone, where they run into Kara (Laura Vandervoort); Zod's wife, Faora, takes over Lois' body. Unexpected guests crash Chloe and Jimmy's wedding; Oliver thinks he has found Lex and sets out to confront him, but he is shocked to find Lana instead; Lois and Clark grow closer. The Persuader attacks Clark; Chloe, as Brainiac, tells Davis he is Doomsday and that he was created to destroy the "other Kryptonian" and the world. Clark learns that John Jones was shot while working as a police officer; Lana tells Tess that Lex isn't the man she thinks he is, forcing Tess to re-evaluate her position as head of Luthercorp. Linda Lake returns to Metropolis and threatens to expose Clark’s secret unless he promises to give her exclusive information on the red-blue blur so she can become a star reporter again. Refusing to be blackmailed, Clark tells Lois his secret and asks her to write his story for The Daily Planet. Tess tries to kill Davis by blowing up his truck. However, after he escapes, she realizes she needs help to destroy him and turns to Clark. Tess reveals Davis' secret childhood with the Luthors and hints that she knows Clark's true identity. Meanwhile, Davis runs to Chloe for help. Lois believes that she needs a big story to secure her reputation as a star reporter but the red/blue blur continues to elude her. However, after Chloe is mugged, Lois steps in to fend off one of the attackers and uses the opportunity to pretend a new superhero, Stiletto, has come to town and is giving exclusives to Lois. Clark is concerned Lois will hurt herself pretending to be a superhero but after he is captured by thugs with kryptonite, Lois steps in to save the day. Chloe returns and begs Clark to kill Davis, claiming he can no longer keep the beast under control. Tess has assembled a team of meteor freaks, including Plastique, to track down Davis so Clark can kill him. However, things get out of hand once Tess’ team discovers she is double-crossing them. Oliver tells Clark he must kill Davis, as Doomsday is a serious threat and must be stopped at all costs. However, Clark struggles with taking a human life, so the Green Arrow and his team decide to take matters into their own hands. Lois takes on Tess, but the fight takes a shocking turn. Meanwhile, Chloe gets caught in the middle of Oliver and Clark’s battle over killing Davis.